This words should be used with the word :| to define and form sets. 1 10 :| b a | a ^2 b ^2 + isprime ; create-set zdup cr zet. 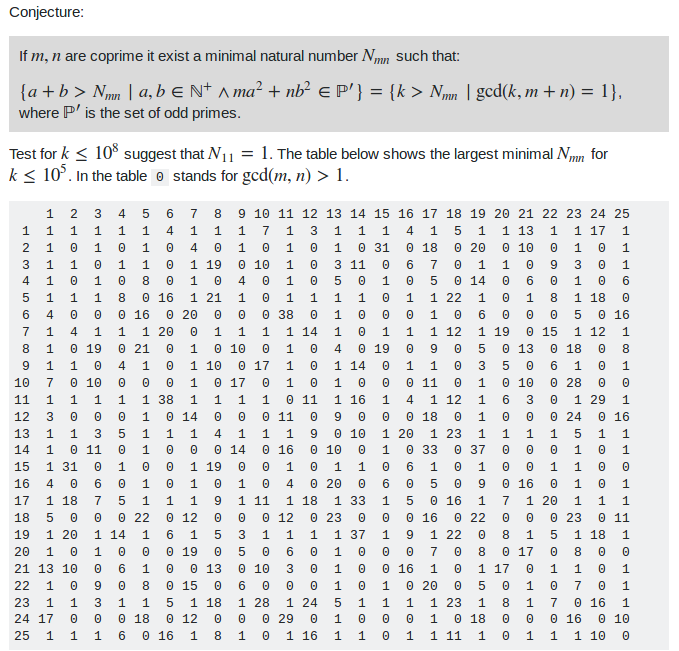 The word :| define a nameless word and count the number of parameters. [char] | parse bl# loc# ! 1. Taking parameters and leaving a flag. 2. Taking parameters and leaving a non negative integer. In the first case a set with the "dimension" stated by the parameters is the result. This works with CREATE-SET and FILTER-SET. In the second case a set of values is the result. This works with BUILD-SET and TRANSFORM-SET. 1 10 :| x | x ^2 ; build-set cr zet. :| n | n n ^2 2; transform-set cr zet. 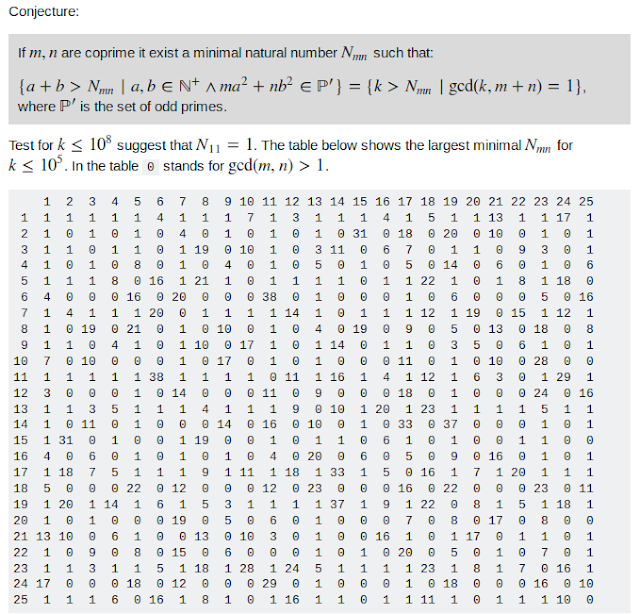 The purpose with this words is to be able to quickly inspect conjectures and Diophantine equations. 1 10 :| b a y x | a x * b y * - 1 = ; create-set cr zet. The vectors in the set are of the form (x,y,a,b), that is the opposite of its appearance as parameters. (Which is logical in Forth with postfix notations and values on a stack, but still a bit awkward). \ a short version of ELSE FALSE THEN. When inspecting a Diophantine equation there might be symmetries and trivial cases to weed out. :| b a | a b + ; transform-set cr z. This suggests that all odd numbers larger than 1 can be written as a sum a+b where a²+b² is prime. :| b a | a b + ; transform-set cr zet.